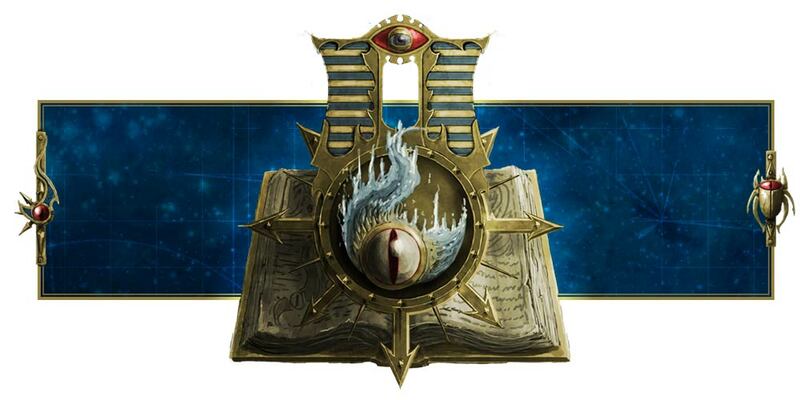 Adeptus Mechanicus, Imperial Knights, Astra Militarum and Thousand Sons: Sly Marbo is back! Guess what? 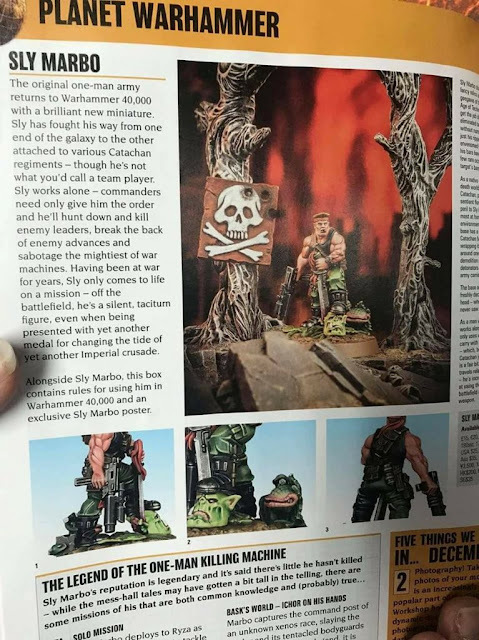 Sly Marbo is back! The original one-man army Catachan legend has returned, and he will be getting rules for 8th Edition! 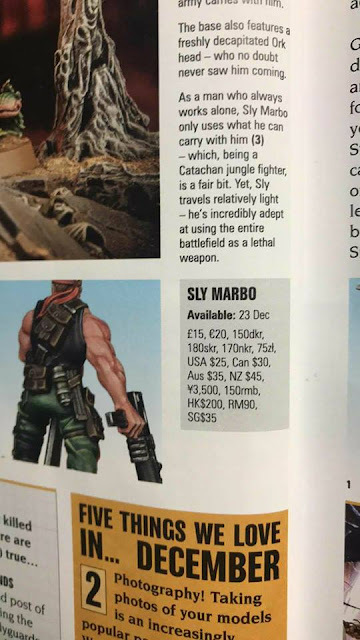 Not only that, if you buy his miniature you'll get an exclusive Sly Marbo poster! Sign me up! The sources are from Discord and Natfka, but there are more details in next month's White Dwarf. Some more pictures, if you want more. And it looks like he'll be available from December 23rd onward!